With Black Friday shoppers getting pepper-sprayed at Walmart, it seemed like a good time for advertising to take stock of consumerism gone wild—and perhaps suggest a less selfish approach to holiday shopping. Enter Patagonia. In the most potent environmental appeal of the season, the outdoor outfitter placed a full-page ad in The New York Times on Friday (and is repeating the messaging online today, for Cyber Monday) in which it asks people to buy less—of everything, including its own products. "Don't buy this jacket," says the headline, alongside the retailer's R2 coat. Copy then explains, in bracing honesty, how the R2—and everything else Patagonia makes—is bad for the environment. "The environmental cost of everything we make is astonishing," the ad reads. "Consider the R2 Jacket shown, one of our best sellers. To make it required 135 liters of water, enough to meet the daily needs (three glasses a day) of 45 people. Its journey from its origin as 60% recycled polyester to our Reno warehouse generated nearly 20 pounds of carbon dioxide, 24 times the weight of the finished product. This jacket left behind, on its way to Reno, two-thirds its weight in waste. "And this is a 60% recycled polyester jacket, knit and sewn to a high standard; it is exceptionally durable, so you won't have to replace it as often. And when it comes to the end of its useful life we'll take it back to recycle into a product of equal value. But, as is true of all the things we can make and you can buy, this jacket comes with an environmental cost higher than its price." The ad concludes: "There is much to be done and plenty for us all to do. Don't buy what you don't need. Think twice before you buy anything. Go to patagonia.com/CommonThreads, take the Common Threads Initiative pledge and join us in the fifth R, to reimagine a world where we take only what nature can replace." This is strong stuff, and complicated, too. As with almost any environmental appeal from a big corporation, the ad is, of course, hypocritical. Patagonia isn't totally altruistic. It's a company, it wants to grow, and it will continue to harm the environment in the process. Yet this isn't greenwashing. It comes off as a genuine attempt to get people to start thinking about sustainable consumption. 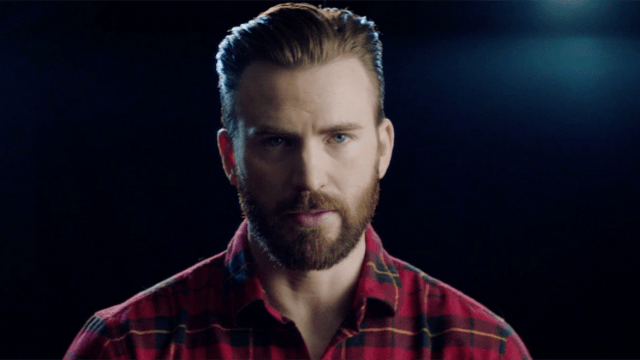 It acknowledges the hypocrisy of trying to lead such an effort while also hurting the planet—but the messaging offsets that hypocrisy, at least in part, with the boldness of the appeal. 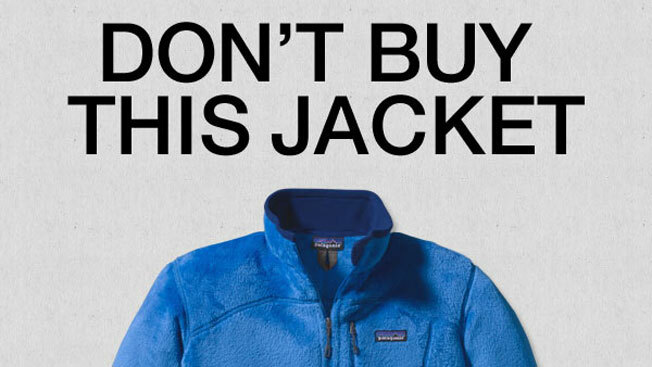 Sure, telling people not to buy is a stunt—but it also surely did hurt Patagonia's sales, at least short term. The point is, Patagonia, whose business relies literally on the outdoors, is in it for the long term. This campaign, however symbolic, cements that notion. And it should get plenty of its customers on board, too. Read the company's blog post about the campaign here.